Once Upon A Time returned to Storybrooke for a new spell on Sunday night. The visit was very helpful to the characters trapped in Neverland. How connected are the two fairytale lands? 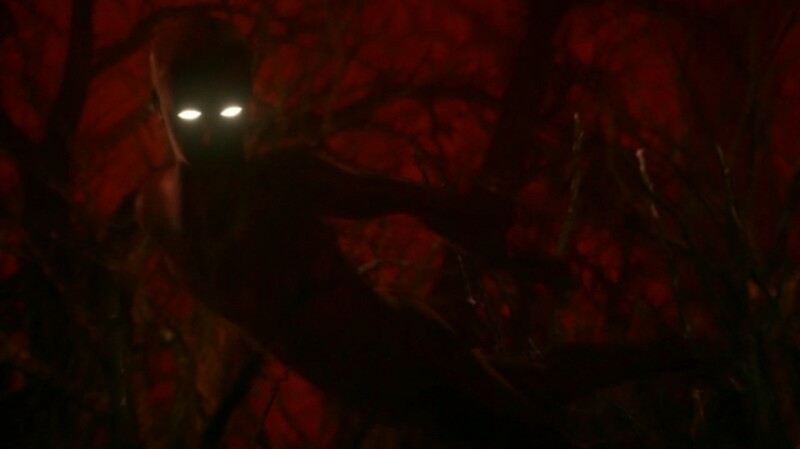 Check out the Top 5 Moments from OUAT’s “Dark Hollow”. Ariel (JoAnna Garcia) found Belle (Emilie de Ravin) in Storybrooke and delivered Rumpelstiltskin’s (Robert Carlyle) message. 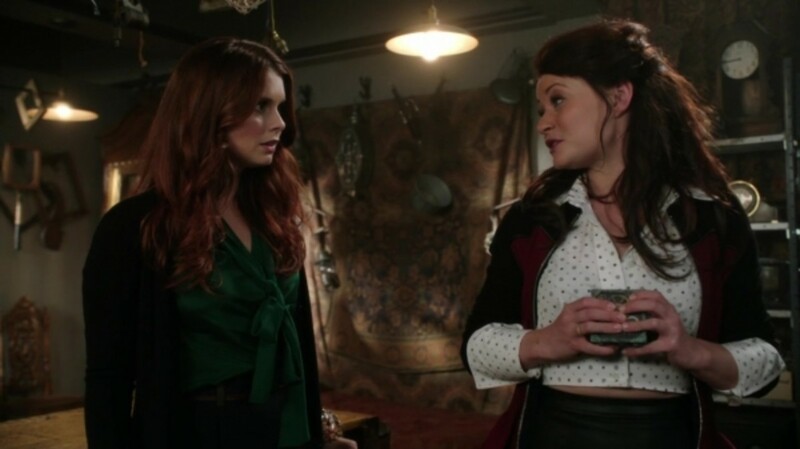 Belle took the Little Mermaid to the pawn shop and they figured out the item Rumpel needed by using the old chipped cup from The Enchanted Forest. When Belle placed the chipped teacup back into it’s saucer, it magically revealed a hidden compartment in the floor. Belle opened the slot in the floor and found Pandora’s Box inside. As she was about to give the box to Ariel, two strange men appeared out of nowhere and pointed a gun at them. The men worked for Peter Pan, and tied the two women up. They left with the box, and had every intention to destroy it. Belle and Ariel managed to free themselves from the ropes, and desperately searched for the two men with Pandora’s Box. They found them in the mines with the dwarves pick axes in hand about to destroy the box. Belle used one of the mine carts and knocked the two men over, thus saving Pandora’s Box. The men explained they needed the box to free their sister, Wendy Darling, from Pan’s clutches. 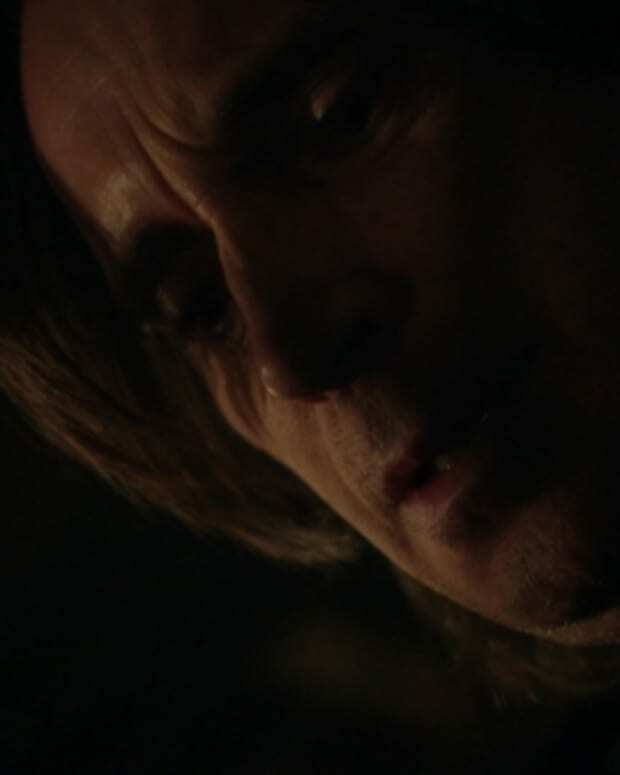 Belle promised to free their sister, if they allowed her to get the box back to Rumpel. They agreed to Belle’s terms. Later, Belle sent Ariel on her way back to Neverland. Will Ariel make it back to Neverland with Pandora’s Box? Henry (Jared S. Gilmore) believed his family was in Neverland to save him, and desired to find them. 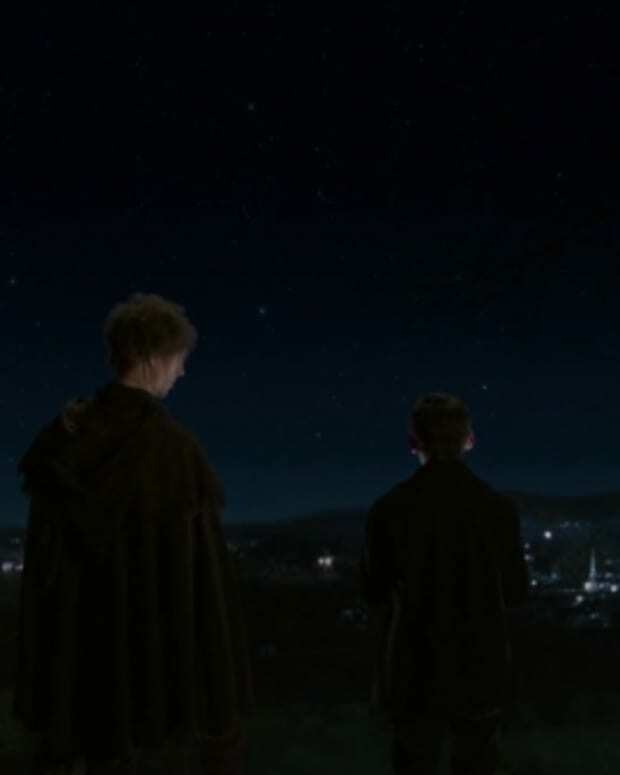 He knew Peter Pan (Robbie Kay) was hiding something from him, so he decided to search for what it was. Henry followed Head Lost Boy Felix (Parker Croft), and ended up finding a sick girl inside a tree house. The girl told him her name was Wendy Darling (Freya Tingley). She informed him she was getting sicker, because magic was fading in Neverland. She also commented Henry looked like his father. Wendy told Henry his father saved her brothers from harm a long time ago, and would do anything for her family. She urged Henry to leave before he caught what she had. Henry left, but not before he promised to come back for Wendy. When Henry was long gone, Pan emerged from the shadows in Wendy’s room. She expressed to him how she didn’t like lying to Henry. He told her it had to be done. He needed Henry to believe in him. 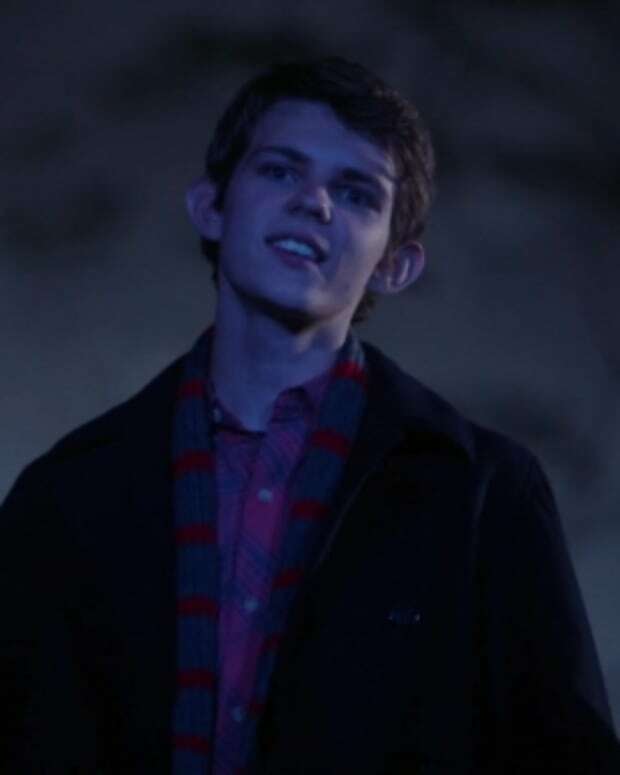 Will Henry figure out Peter Pan is playing him yet again? Neal (Michael Raymond-James) knew the group had to capture Peter Pan’s shadow in order to escape Neverland. The group decided to split up to move things along faster. David (Josh Dallas) and Mary Margaret (Ginnifer Goodwin) went to Tinkerbelle’s (Rose McIver) hideout, while Captain Hook (Colin O’Donoghue), Neal and Emma (Jennifer Morrison) ventured to Dark Hollow, where Pan’s shadow could be found. The trio arrived at Dark Hollow with the magic coconut candle, and things quickly got out of hand. Pan’s shadow along with two others attacked them. Two shadows pinned Hook and Neal to a tree, while Emma crouched behind a rock and fought the other one. Emma decided to use her magic to light the candle and capture Pan’s shadow. She was successful, and Neal couldn’t believe what Emma had done. He asked Emma where she learned to use magic, and she informed him Regina helped her. Neal wasn’t pleased Regina (Lana Parrilla) had been teaching Emma magic. Will Emma’s magic cause trouble in her love life? Henry returned from Wendy’s, and Pan confronted him. Henry informed Pan he found Wendy, and wanted to know if she was dying. Pan confirmed she is, and admitted he didn’t tell Henry because he felt it would be too much pressure on him to save her. Henry asked Pan how to save magic. 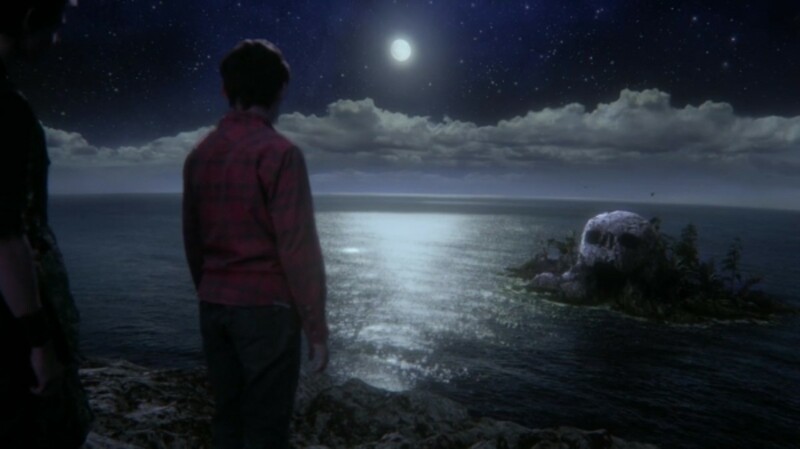 Pan showed him Skull Rock, and declared the island’s salvation was inside the rock. The person with the heart of the truest believer was the only one who could access it on Skull Rock, and save the island. Pan warned it would not be an easy task. Henry believed he could save magic, and agreed to do it. Will Henry really go through with Pan’s “Save Magic” ceremony? Mary Margaret ignored David for half the episode, and then she exploded. She demanded to know why he didn’t tell her about the Dreamshade arrow and his subsequent curse. He replied it was because he didn’t want to burden her by staying in Neverland forever. She fired back she would happily live in a tree house dodging Lost Boys and poison arrows for the rest of her life, as long as David was by her side. Mary Margaret was more disappointed than anything that David didn’t believe their love would survive his curse. David apologized and admitted she was right. They held each other and cried (As did I!) Will David find a way to cure his Neverland curse?